Stuyvesant High School students being evacuated on the river walk along the Hudson River. 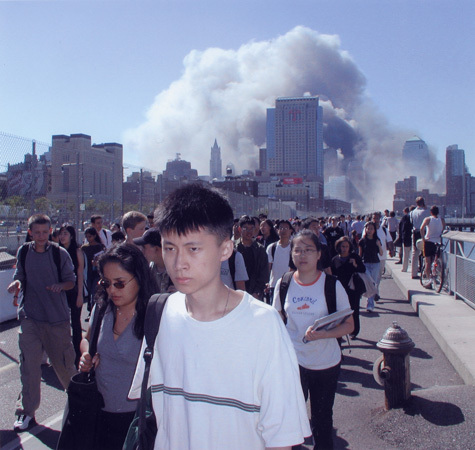 Photograph by John Houston, September 11, 2001 at 11:00 AM. Man being interviewed by CBS reporter David Diaz at Hudson and Jay Streets. Photograph by John Houston, September 11, 2001 at 12:41 PM.